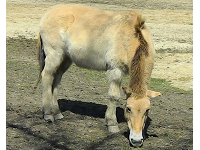 Przewalski's horse is a rare and endangered subspecies of wild horse. 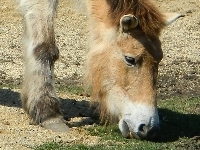 Przewalski's horse is also called the Asian wild horse of the Mongolian wild horse. 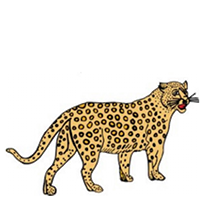 Przewalski's horse has shorter legs than other horses. 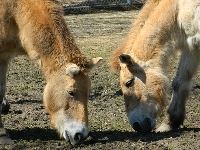 Przewalski's horse foals are born after a 333-345 day gestation period.